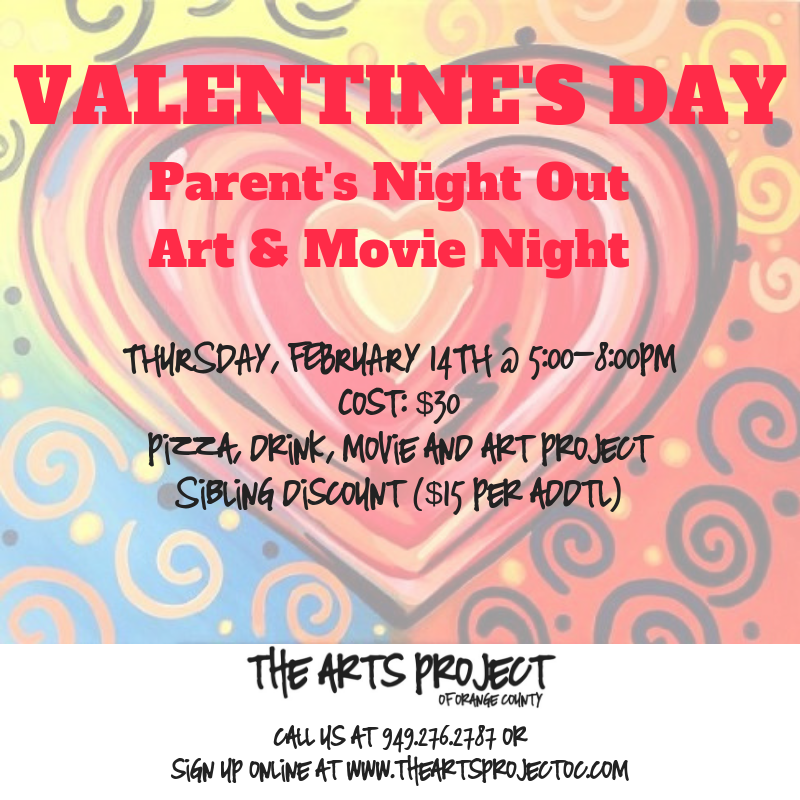 Parents, have a romantic night out for Valentine's Day while your kids enjoy all things art at The Arts Project OC! We will be doing arts & crafts, dancing, playing games and watching a movie. Cost is $30 for the first child and $15 for each additional sibling. Kids must be 4 and up. Included: Pizza and Drinks, Art Project and Movie & snacks. Children are welcome to bring their own snacks and drinks and even wear their PJ's. If you have special request for siblings, please call the studio. Space is limited, so register today!